You have probably heard (or used) the expression, 'Never let the truth get in the way of a good story.' Well, a good one happened in Thorold, Ontario, Canada in 1996. 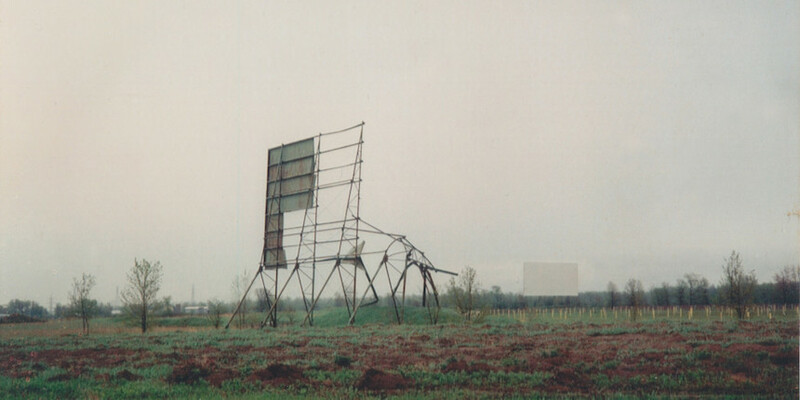 A pregnant summer storm blew through the niagara region, obliterating one of the screens of the Can-View Drive-In, co-incidentally, while the they were showing the tornado blockbuster Twister. Director Jay Cheel, whose time travel fathers-and-sons reverie, How To Build A Time Machine, played earlier this year, returns with Twisted, a short bon-mot of a film which gorgeously re-enacts the tornado hitting the drive in as witnessed, in full detail, by several customers that evening. The niggling fact remains, however, that it didn't happen...exactly. And yet, the film effectively uses the local legend to explore the nature of memory, storytelling and, the media printing the legend. Cheel's work is often compared to Errol Morris, and that is certainly on display here, with centered interrotron styled interviews mixed with recreations and razor sharp editing. But a subtle Canadian temperment is mixed with the films painterly visual aesthetic (memories as picture-postcards) bears all the hallmarks of a confident cinematic voice. Yea, right there, in Thorold. Twisted played at TIFF in Short Cuts Programme 7, on Monday September 12, with a repeat screening on Saturday September 17th. It will also play in the shorts program at Fantastic Fest.